TEMARIO EXCLUSIVO, COMPLETO Y ACTUALIZADO, ADAPTADO A TU OPOSICIÓN. (POSIBILIDAD DE ELABORAR TEMAS A LA CARTA, OPCIONAL). TEST DE PREGUNTAS RELATIVAS A CADA TEMA DEL TEMARIO. 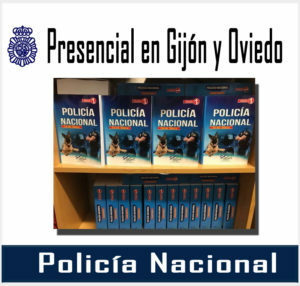 SUPUESTOS PRÁCTICOS ACTUALIZADOS Y ESPECÍFICOS. 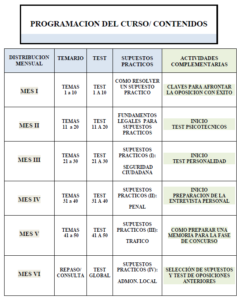 TEST DE APTITUD Y TEST DE PERSONALIDAD (FASE DE APTITUD PSICOLOGICA). 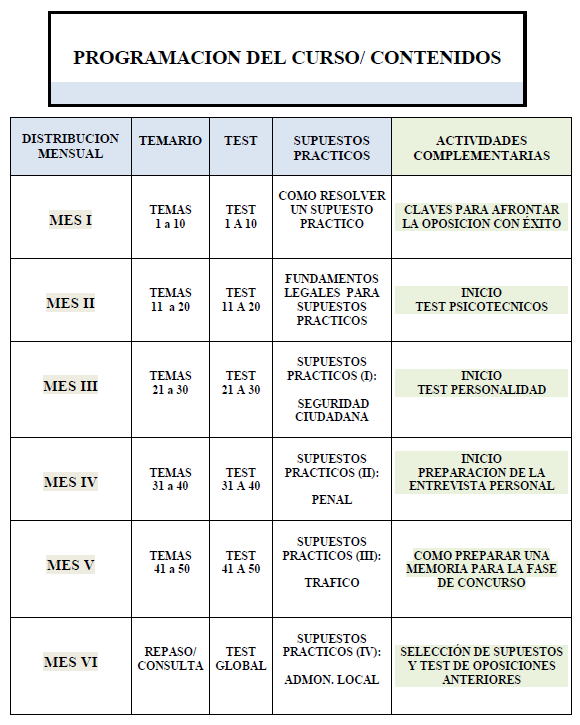 ASESORAMIENTO PARA LA PREPARACIÓN DE LAS PRUEBAS FÍSICAS. 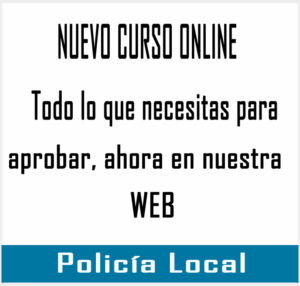 CONSULTORÍA “ONLINE 24 HORAS”, SIEMPRE EN CONTACTO CON PROFESORADO EXPERTO DESDE NUESTRA PLATAFORMA. 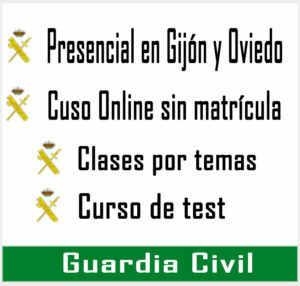 ACTIVIDADES DE COACHING Y SEGUIMIENTO DEL PROGRESO DEL ALUMNO. 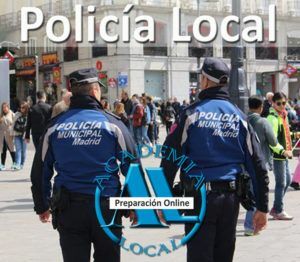 SERVICIO DE ALERTA DE CONVOCATORIAS Y PLAZOS DE INSTANCIAS.